A week left for one of the most important competitive exams of the year. What is your strategy for SBI PO Prelims? 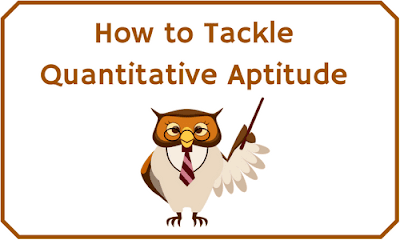 How many Quantitative Aptitude questions within 20 minutes? These are few important questions that you need to answer yourself. The first step you need to take now is - Make a list of questions which you are going to attempt. This is the most important time-saving technique you can use now. You have just 20 minutes for this section, you can't use these 20 minutes in finding which questions to attempt. Here I find Series and Simplification easy marks that you can fetch. These questions take less than 1 minute to solve. One of the most common questions that readers ask in the comments section is - How to attempt a double diagram Data interpretation set within 5 minutes. That's a good question. It's really difficulty to solve such questions within a fraction of a second. I recommend you to skip 1 DI set to save time. Target 100% accuracy, you can avoid negative marking and this will help you allot more time per question. If a question is taking more than 2 minutes, skip it. Learn tables up to 40 and squares up to 50, this will be most important tool during the exam. Learn multiplication and division techniques.